Do you spend a lot of time on operational activities and the opportunities for new business and growth are relegated to the background? If you have identified with these situations it is time to get to know the BPO – Business Process Outsourcing – and deploy it in your business. In these posts, you will learn about BPO – Business Process Outsourcing – the advantages and benefits of deploying it in your company and which BPO services are the most recommended. So what is BPO, anyway? Do you handle the accounting in your company? Or: In your company, is the accounting handled by a professional or internal department, with directly hired employees, or is the service performed by an accounting firm? In the vast majority of companies, bookkeeping is done by specialized external offices. This is nothing more than a form of BPO, or outsourcing of processes, if you prefer. 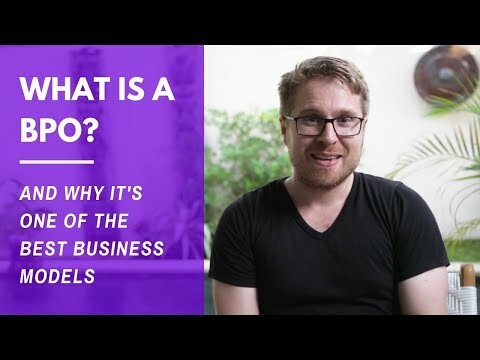 What is BPO? It is the practice of selecting some internal company processes and passing the responsibility of their execution to other companies that must deliver the agreed results between the parties and follow the procedures determined by the contracting company. Is the concept of BPO a little clearer? Okay, but have you ever stopped to think why this happens? Why do some companies prefer to use outsourcing and leave some of their processes in the hands of others, rather than performing them with their own resources? That’s what we’ll cover in the next topic. Before that, check out this video that shows the benefits of using BPO. Also read: Business Process Outsourcing: 7 Trends to Expect in 2019. Why use BPO – Business Process Outsourcing – in your company? These are the 4 main characteristics of BPO services used by companies. But stay tuned for a detail, which we mentioned above. Not being the core business of a company does not mean a process must be outsourced. For example: information security is not the core business of banks, but they do not outsource this area because it is vital to the success of their business. But why is it so important that your company chooses a BPO service that is not your core business? Well, it just means you can focus your efforts on your core business, the one that keeps your business running and bringing in revenue, and outsource what is not so important. But this is just one of the advantages of BPO – Business Process Outsourcing. Let’s see some more of them? You’ve seen one of the great advantages and the main reasons companies use BPO services: to focus on their end business, their core processes, the so-called business core. The United States of America is a country where the bureaucracy of managing employees is very large. And just getting rid of these processes of selection, hiring, training, dismissal and all the necessary documentation, will bring about great savings and cost reductions for a company. But in addition, labor costs will also be sharply reduced. When outsourcing a process through BPO, the company responsible for executing it must maintain the quality level and results indicated in the KPIs that you decide. For this, a good process automation program, which guarantees the visibility of the indicators in real time, can be of great help. Thus, this outsourced team will have all of its focus on what it should do in relation to this specific process, without the interference of other demands or projects that may be taking the attention of the company that contracted the outsourcing. The more processes are outsourced and only monitored and controlled through management tools, the more time and accurate information the company will have to devote to strategic planning and organizational growth. Because they are managed and run by specialists, these processes adopt the best practices and the latest technologies related to them. If multiple company processes are in the BPO model, your employees will not have to deal with them. This way, they will have more time to dedicate themselves to other projects and more easily assist in different areas of the business. Does your company practice BPO? Tell us, in the comments, how this experience has been. And if you have any important details that we forgot to comment on, please share your knowledge with us all.